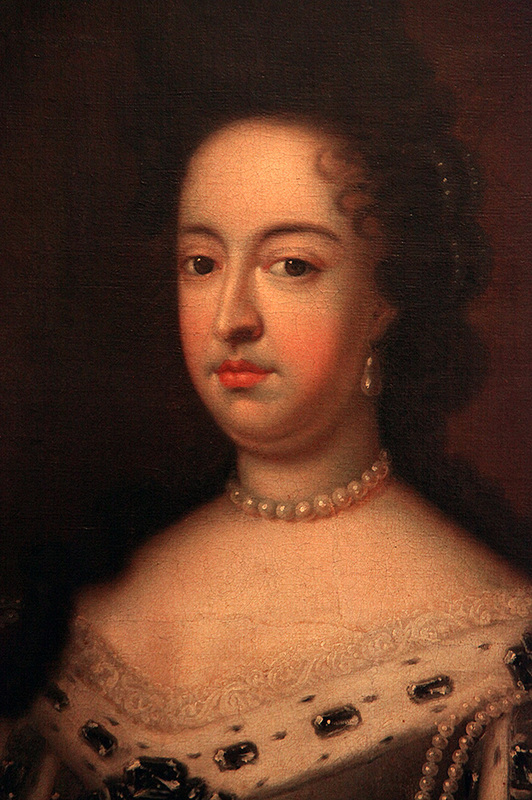 The portrait represents Mary of Modena (1658-1718), Queen Consort of England, the wife of King James II. 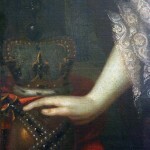 Within the Royal Compound collection it is the only female portrait of a ruler. Based on research so far, it is assumed that this portrait entered the collection in 1951. 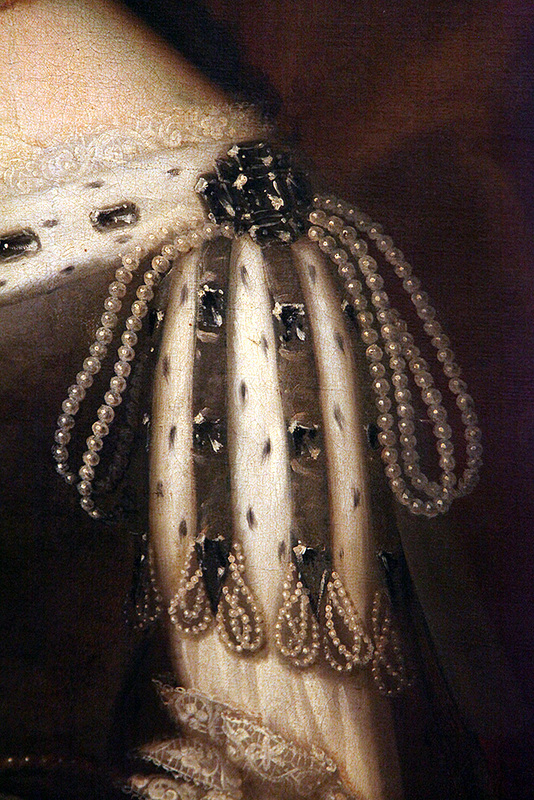 The painting is a version of the original coronation portrait (full figure), made by Godfrey Kneller on the occasion of Mary of Modena (Princess d’Este) and the English King James II’s coronation. 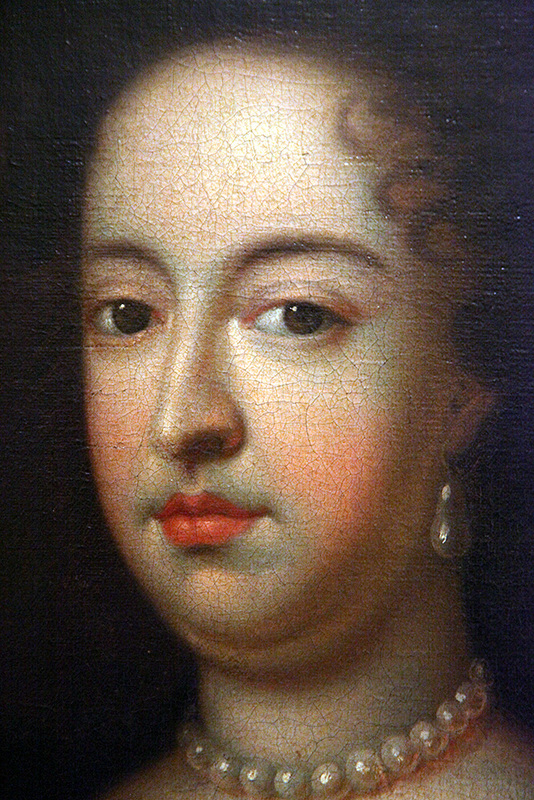 Mary of Modena was born in the Italian ducal family of d’Este. 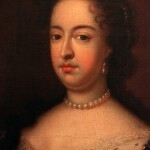 In 1673 she became the second wife of James, the Duke of York, who in 1685 succeeded his brother King Charles II on the throne of England. That same year Mary of Modena was crowned the Queen Consort of England, as shown by this portrait. The reign of King James II and Mary was not a long one. Their fierce Catholicism in protestant England was only one of the causes of the Revolution of 1689, which overthrew them from power. Mary of Modena and James II went in to exile to France, where their spent the rest of their lives, under protection of Louis XIV. 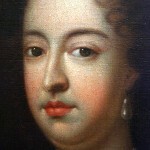 For that reason Mary of Modena remained known in history as “the exiled Queen” or “Queen over the water”, as her Catholic (Jacobite) supporters in Britain called her. 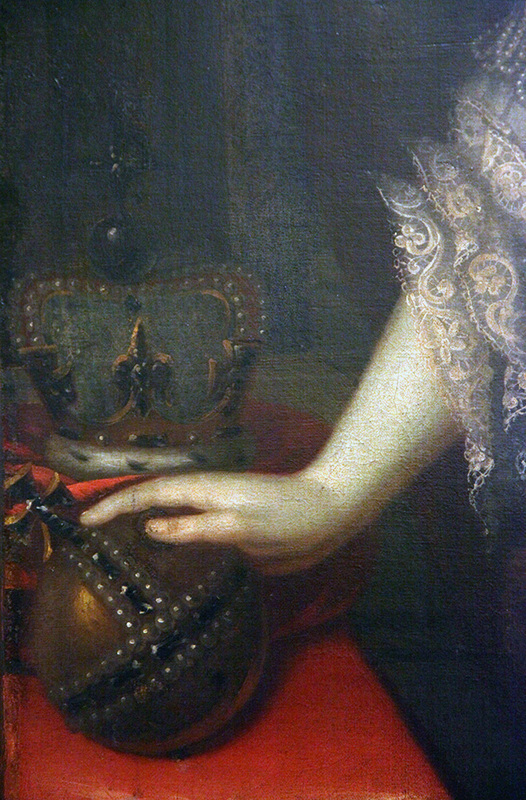 The original coronation portrait was painted during the Revolution of 1689, but there are two versions of it: one in oil on canvas, at the City Hall in Great Torrington in England, and the other one in copperplate engraving, made by Ian Faber in 1740 on the model of Kneller’s portrait, with smaller changes, for propaganda and commemorative purposes. Unlike the official portrait in full figure, the portrait of Mary of Modena from the Royal Compound collection shows the Queen Consort of England in the quarter figure. Other elements, like the royal insignia, suggest it was the official portrait. Mary of Modena was represented slightly turned toward the viewer, with dignified, proud ruler’s stature. Her left hand casually holds the royal mantle, while her right hand is on the orb, the royal insignia symbolizing the world, directing the viewer’s attention to the other insignia, the sceptre and the crown of England, placed on the small table next to the Queen. 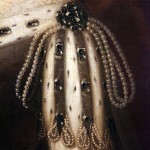 Mary of Modena is portrayed wearing a lavish coronation robe, which has the same role of identifying her new status, like the official ruler’s insignia do. Although this portrait is smaller in dimension, its features show it had the function of the official coronation portrait, and it belonged to a series of reduced portraits made by order, for the official public spaces, or were given as diplomatic gifts. Godfrey Kneller was born in Germany. He gained his artistic education first in Amsterdam, and then in Italy. In 1676 he found his permanent residence in England, where he enters the court and high aristocratic circles, thanks to his friendship with the Duke of Monmouth. Very well educated and outgoing, he soon became very successful as the English aristocracy portraitist. Such great success enabled him to establish his own workshop, which, because of its scale and enormous production, was often called the artwork factory. A standard product of this workshop would often be a rigid, conventional portrait, while the works of Kneller himself are among the most beautiful masterpieces of that period.